Do homeopathic remedies protect against X-rays, CT scans and other radiological procedures? In Brief: X-rays, fluoroscopy and CT scans provide early detection of serious problems, inform treatment, and save lives. Unfortunately, they also damage genetic material and cause cancer. Research indicates Homeopathy may be a useful way to minimise the harmful effects of radiation exposure from x-rays, CT scans, and other procedures. A recent study published in the New England Journal of Medicine drew the medical establishment’s attention once again to the harmful effects of diagnostic radiation – particularly of CT (computed tomography) scans. Medical imaging does carry risks but protective steps can be taken.2 This article explores those risks and how homeopathy (and certain foods) can minimise the impact of those risks. Which Medical Tests Use Radiation? The five main procedures that use radiation are: x-rays, CT scans (computed tomography), mammograms, nuclear medicine and fluoroscopy. 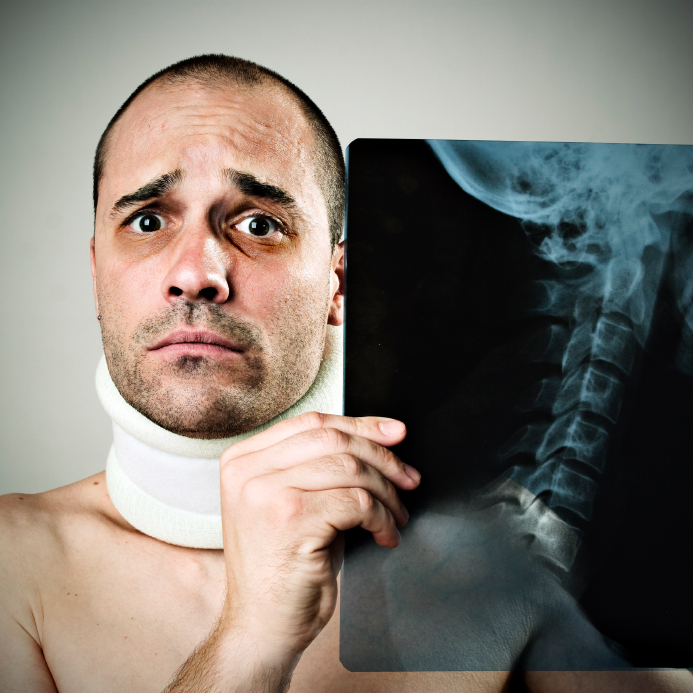 X-rays produce two-dimensional images of hard substances in the body such as bones and teeth. They were first discovered in the late 1800s but when many early investigators started to have their arms amputated because of tumours, or died from cancer, it was quickly realised that x-rays were dangerous. Today, the traditional x-ray has relatively low levels of radiation compared to other radiological tests. CT scans generate three-dimensional images of both hard and soft body tissues. Significantly more radiation than the traditional x-ray is required. For example, a CT scan of the abdomen will expose its owner to 50 times more radiation than an x-ray of the abdomen. Mammograms examine breast tissue, looking for cancer. The dose involved with the usual four films of each breast results in significantly more radiation than would happen with a chest x-ray. The low energy used in mammograms is more harmful than the higher energy of x-rays. Nuclear Medicine uses radioactive substances to diagnose or treat disease. Dyes with a short radioactive half life are injected or swallowed to outline organs while radioactive substances that release a slow continuous dose may be implanted into tumours to destroy cancer cells. MRI scans (magnetic resonance imaging) and ultrasounds also ‘look’ into the body but don’t use radiation. Surprisingly, medical imaging accounts for only 18 percent of our radiation exposure. The remaining 82 percent comes from background radiation. The ground we walk on, the air we breathe, the food we eat and the water we drink all emits natural radiation. Like medical radiation, background radiation makes cumulative changes to chromosomes in our cells, potentially leading to cancer as we age. The chance of developing cancer from just one x-ray or CT scan is relatively small but cellular damage that doesn’t go away does occur. Over time, this damage is increased by other medical exposures that may take place. The damaging effect of background radiation also accumulates. Progressive exposure from both sources increases the risk of cancer developing. X-rays and other forms of radiation cause birth defects in the foetus during the early stages of pregnancy, and high-dose or prolonged exposure may result in erythema (skin reddening), tissue damage, hair loss, and cataracts. These last conditions can be prevented and treated by homeopathy – something that will be discussed in our next article. Children are more sensitive to radiation than adults plus have a longer life expectancy in which cancers may develop. Early or repeated exposure during childhood increases this risk so radiological investigations should be avoided as much as possible. Comment: We do not condone or support the use of injurious animal studies and there has never been a need for them within homeopathy. The two above studies have been presented for the information they contain but similar observations could have been made with cell or plant models. In the above studies, researchers found that consistent with homeopathic philosophy, ‘similars’ both treated and prevented radiation injury. Treatment will be discussed more fully in our next article but for preventive use before and after radiological procedures, the main remedies traditionally used by homeopaths are: Cadmium sulphuricum (Cadm-s) or homeopathic X-ray. Both are free of toxic side-effects and useful additions for home use kits. Homeopathic X-ray was made by exposing a vial containing alcohol to X-rays. The alcohol was then potentised and since then has been used for radiation injuries. Cadmium sulphuricum produced symptoms very similar to radiation sickness during accidental poisonings and its homeopathic proving. For this reason it is often used by homeopaths as a preventative at times of radiation exposure. Dosage Instructions: Use either Cadmium sulphuricum 30C or homeopathic X-ray 30C, not both. Place 5 drops (or dissolve one pill) of the remedy in mouth 1- 3 hours prior to an x-ray, CT scan, or other radiological examination. Take another dose as soon as possible following the exposure. Take 3 doses, approximately 8 hours apart on the day following the exposure. Pills work well but for several reasons discussed in Instructions for Turning Pilules into Liquid Remedies, liquid doses are preferred. Just shake the bottle well before each dose. Can the food we eat help? Black and green tea, reishii (a mushroom), beans, lentils, and garlic have also credited by numerous studies with reducing the harmful effects of radiation. Once again, the message is clear – eat your fruit and veg! Radiation is used not just for diagnostic purposes but, along with chemotherapy, to treat cancer also. Our next article will look at how homeopathy offsets the side-effects from both of these treatment options so that discomfort and injury is minimised. 3 Khuda-Bukhsh, A.R., Banik, S. (1991a) “Assessment of Cytogenetic Damage in X-irradiated Mice and its Alteration by Oral Adminis¬tration of Potentized Homeopathic Drug, Ginseng D200,” Berlin Journal of Research in Homeopathy, 1,4/5:254. 4 Bildet, J.,Guyot, M., Bonini, F., et al. (1990) “Demonstrating the Effects of Apis mellifica and Apium virus Dilutions on Eryth¬ema Induced by U.V. Radiation on Guinea Pigs,” Berlin Journal of Research in Homeopathy, 1:28. 5 Pharmacol Ther. 1988;39(1-3):357-65. Role of vitamin A and beta carotene in radiation protection: relation to antioxidant properties. Seifter E, Mendecki J, Holtzman S, Kanofsky JD, Friedenthal E, Davis L, Weinzweig J.